Cheese and crackers with wine is a popular gift choice, especially at Christmas. 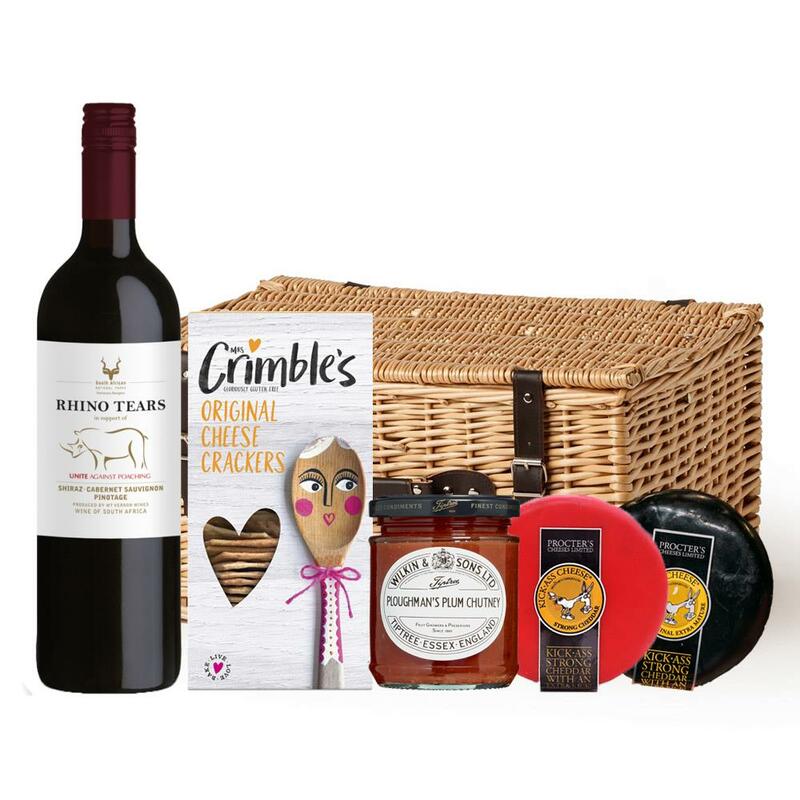 This hamper is a fine selection of wine and cheese, a delicious Farm house Mature Cheddar pried with its perfect wine a Rhino Tears Red 75cl , all packed with some highland Oatcakes and red onion chutney. An ideal choice for those with a love of cheese and wine. Rhino Tears Shiraz Cabernet Sauvignon Pinotage - South Africa, A rich, appealing dark red. Strawberry and wild raspberry on the nose. Oak and light tannins offer well-structured underlying complexity. This product is hand packed onsite by Bottled and Boxed, and is not affiliated with any other brand. Bottled and Boxed is responsible for this product combination/set.